Despite the eclecticism of contemporary art - the myriad of styles and mediums and concepts - the vast majority of artists working today have attended art school at some point in their lives. 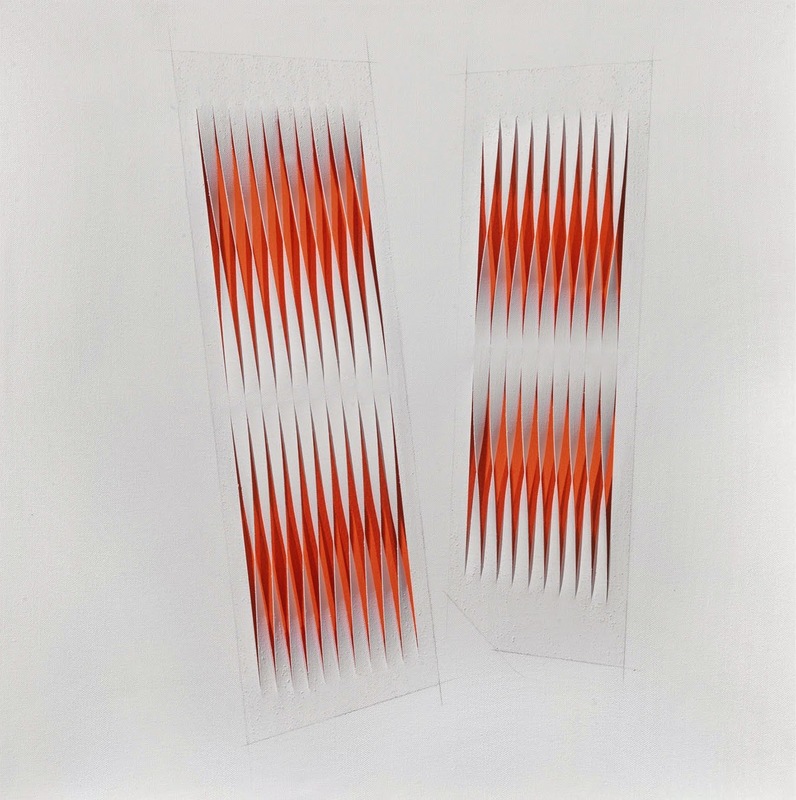 It is significant then that Alberto Biasi, who is being exhibited for the first time outside Italy at Tornabuoni Art in Paris, studied not Fine Art but Industrial Design at the Institute of Architecture in Venice. It is clear that this object and engineering based approach has influenced his work which is characterised by its physical space and experiential necessity. Born in 1937 in Padua, Biasi founded Gruppo N in 1959 with Ennio Chiggio, Toni Costa, Edoardo Landi and Alfredo Massironi in 1959. With them he conducted his first “optico-dynamic” experiments which drew him into his first exhibitions of lumino-kinetic art. Biasi likes to consider his work with Gruppo N as separate from his personal work and that rather than the Group influencing his personal work, his individual practice was absorbed by the collective. It was an exercise in stepping back from the ‘cult of personality’ and subjectivity through which Biasi could concentrate on research and exploring new materials. Nevertheless, this spurred Biasi on to develop his work and increased his renown through the 12 exhibitions the group held. 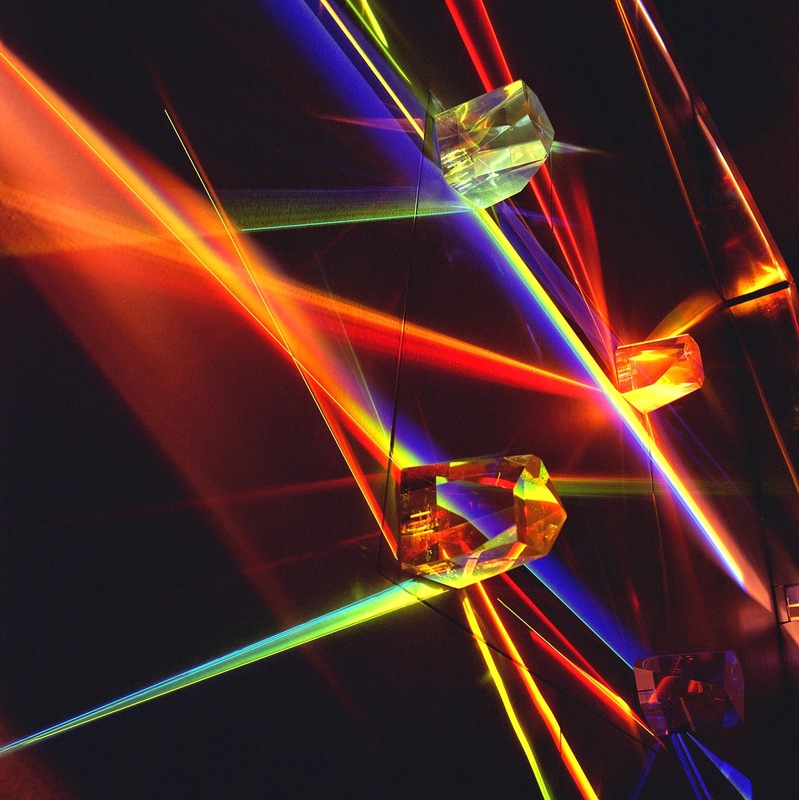 One of the most distinctive works in the exhibition, Light Prisms, was first exhibited at the Venice Biennale in 1964 and later in 1970 at the Palazzo delle Esposizioni in Rome. The work expands on the theme of movement in the artist’s practice as it consists of four unequal, asymmetrical prisms that rotate, causing ever shifting permutations of refracted light to be cast in a darkened room - specially made over a year and a half for this exhibition. 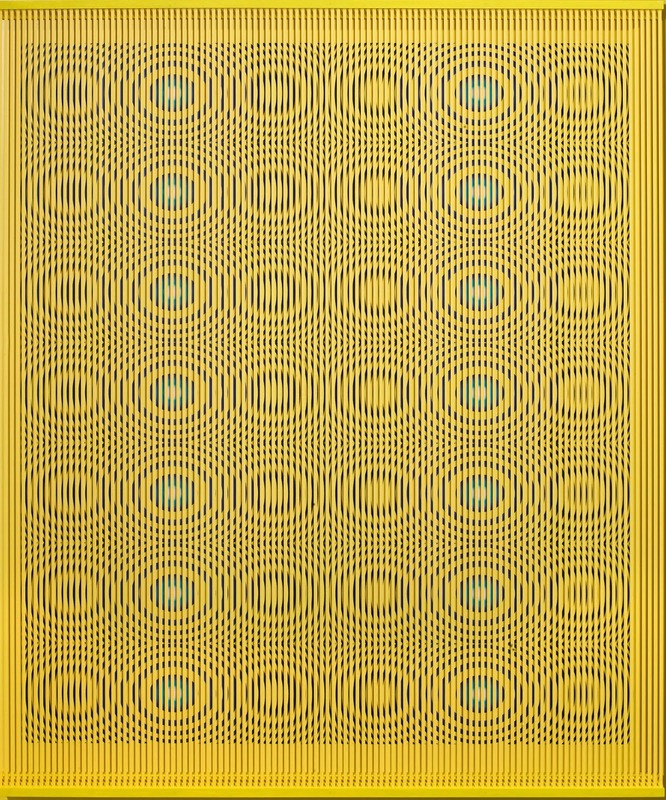 Referencing the scientific approach to optics of the late 19th century that resulted in pointillism, Biasi manages to translate new and original images in a non-pictoral way while acknowledging an art historical precedent. 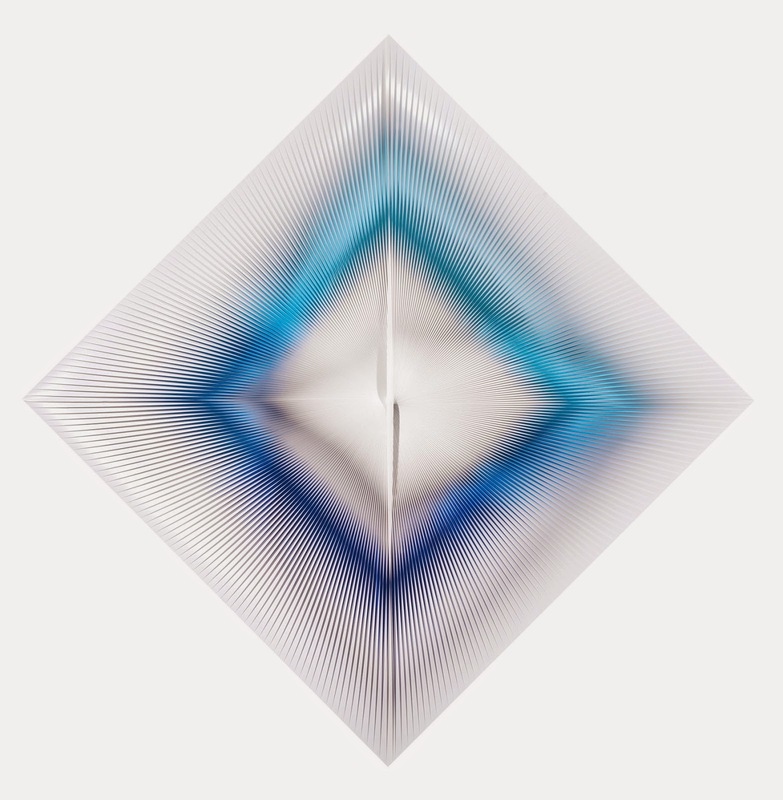 The title of kinetic artist, however, has never sat easily with Biasi as only a few of his pieces, like Light Prisms, actually move. Instead the majority of his oeuvre, and this exhibition, focuses on sculptural optical effects that require the movement of the viewer. It is this which makes Biasi’s art so engaging (and so unphotographable) - you are compelled to move around the artworks, to engage spatially with them. The viewer becomes the kinetic element of the artwork, a practical manifestation of the idea that art only exists once it has been consumed. It is highly effective - minimal and yet through its almost infinitely varied views, endlessly engaging. The exhibition runs until 27th June at Tornabuoni Art in Paris.